I’m a big fan of Chilli Con Carne, it’s a favourite with my mother and I, when I make it I usually use my Fuss Free Bolognese Sauce as a basis and pimp it up adding kidney beans and spices. 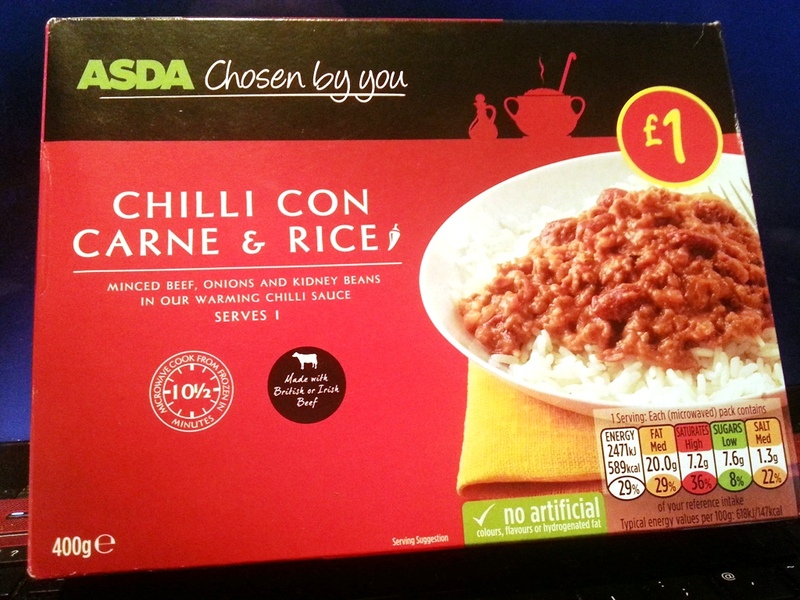 This week I’ve decided to review the Asda version. 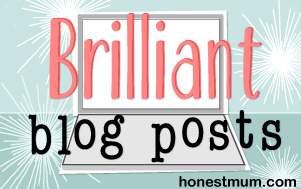 You’ll remember from previous posts that my mother shops in Asda, hence why I’ve covered so may for the blog. 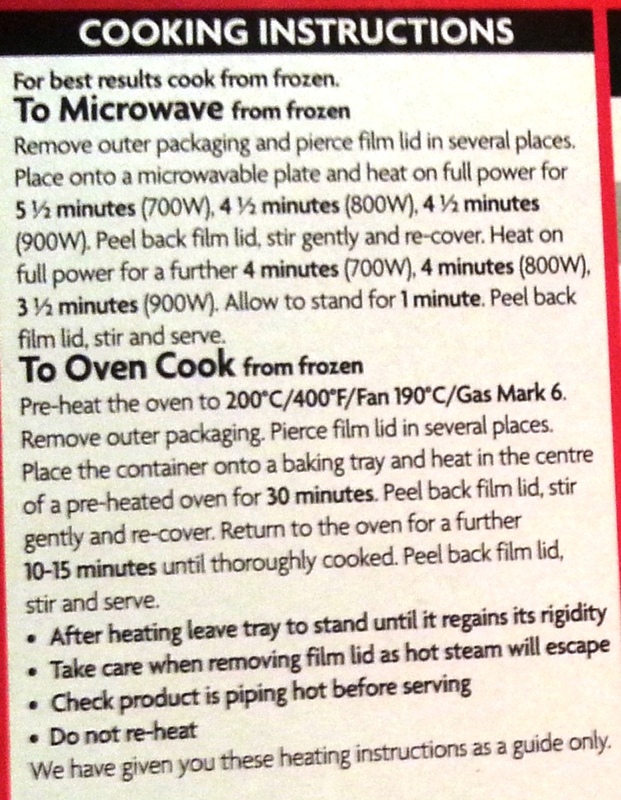 Where to start with this one, I suppose we’ll start for a change with the cooking instructions. 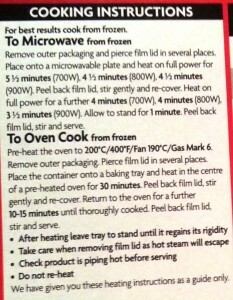 Hat’s off to Asda for these instructions, they are clear, concise informative and well displayed. I feel these would be easy for people with some learning difficulties and those with some visual impairments to be able to use. 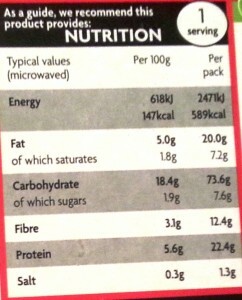 They’re even friendly for my microwave, that’s as rare as hen’s teeth as you know! 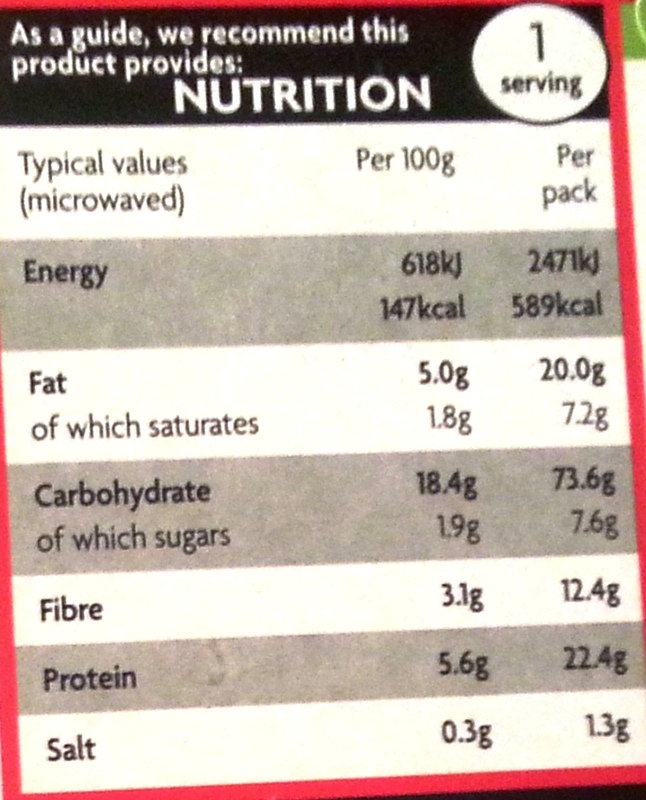 I’m never sure about this part of my review but I noticed that there is 589 calories in the whole pack… that seems a heck of a lot for one meal or is it me? 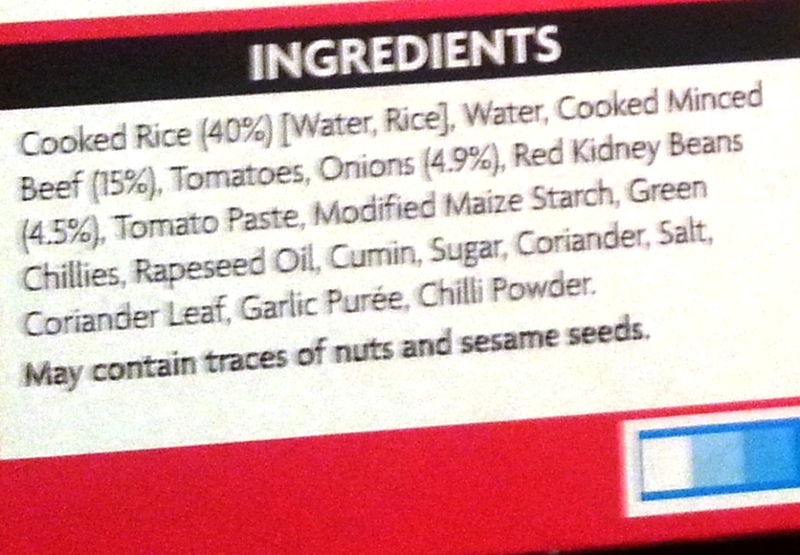 The sauce wasn’t too spicy, it had a one chilli rating on the front of the pack which I think summed it up well. It was tasty, it had a nice heat which didn’t smack you in the face. 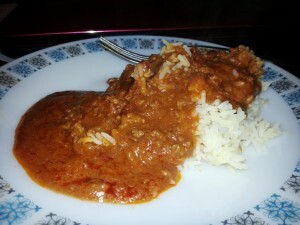 The minced beef was easy to eat and the rice was soft and fluffy, everything you’d want. 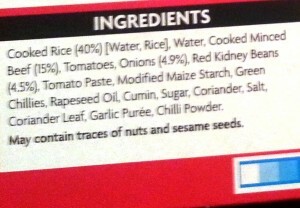 I would say the only drawback would be the sauce may be a little runny. I’d give this an easy seven out of ten, I’d be happy to buy this again without any problem. 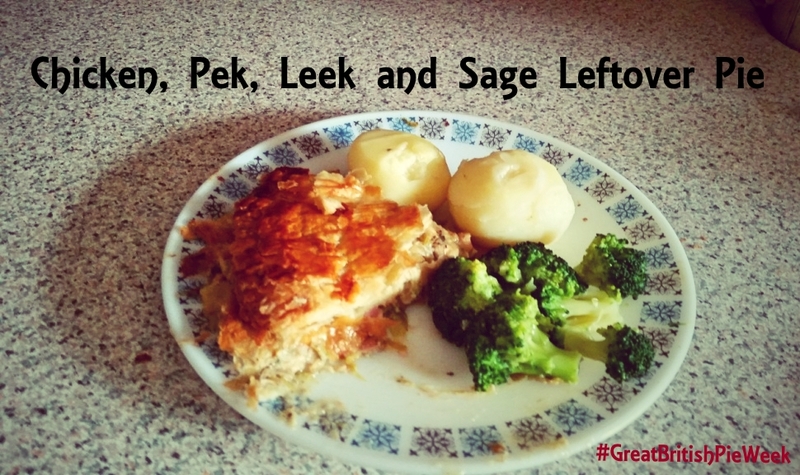 Are you enjoying the rugby, remember to try my Leek and Potato Soup. We’ve got a few treats coming up over the next few weeks including my take on Jo Pratt’s Sweet and Sour Chicken. 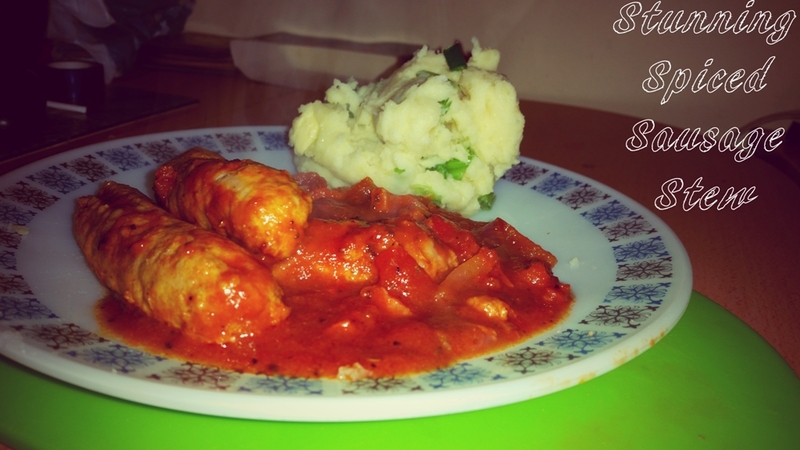 If you’ve tried any of our recipes send us a picture, or share them with us on our social networking pages.